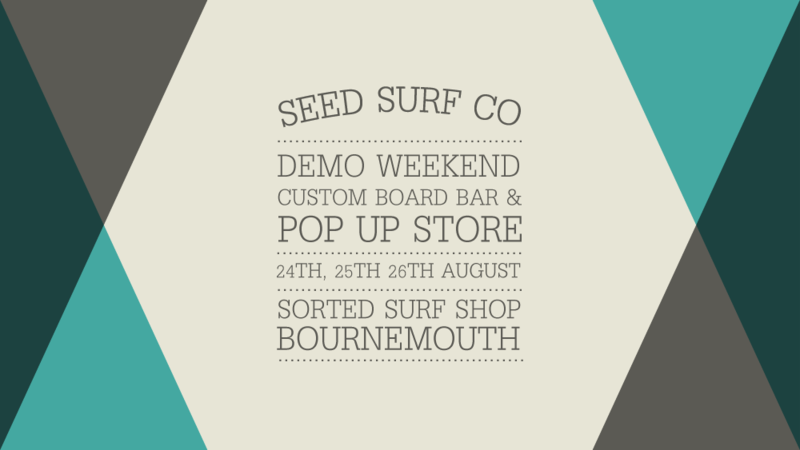 We'll be out on the road again this August bank holiday and heading down to Sorted Surf shop on the sunny south coast riviera of Bournemouth. We'll be packing up the pop-up and board bar along with a vanfull of boards to test drive or just get under the arm......if neptune delivers a flat spell on the south coast!! It will give you a chance to check out our shapes in the flesh, peruse our high summer '13 apparel range and grab yourself your new go to tee with our £10 tee of the day deal!